Ovation Nomination: Best Ensemble, 33 VARIATIONS. Ovation Nomination: Best Actress in a Musical, SHE LOVES ME! Dramalogue Award: Best Actress in a Musical, SHE LOVES ME! Robby Nomination: Best Actress in a Musical, SHE LOVES ME! Ovation Nomination: Best Musical, SHE LOVES ME! Ovation Award: Best Play, 110 IN THE SHADE. Treva grew up on a farm outside Davenport, Nebraska, population 400. (The population is now 300). She is the youngest of 6 children and spent many hours singing and dancing for the cattle as well as putting on lengthy plays for her parents in the basement of their farm house. Her mother, Wanda, was a voice teacher and so music was a important part of the household. At 10 she started dance lessons and her sacrificial parents drove two hours every Saturday to give her that opportunity. Treva graduated from the University of Nebraska with a BFA in Dance but spent much of her time doing plays within the Theatre Department. She had the opportunity to study dance with Hanya Holm at Colorado College and started Acting professionally at the age of 18. Fun fact: Treva represented Thayer County in the Miss Nebraska pageant her Freshman year. After College She moved to Chicago where she had the great fortune to work extensively in Chicago Theatre. She had the opportunity to work with directors such as the two time Tony Award winner and Academy award nominee Frank Galati as well as Tony Award winner Robert Falls and Broadway director Gary Griffin. 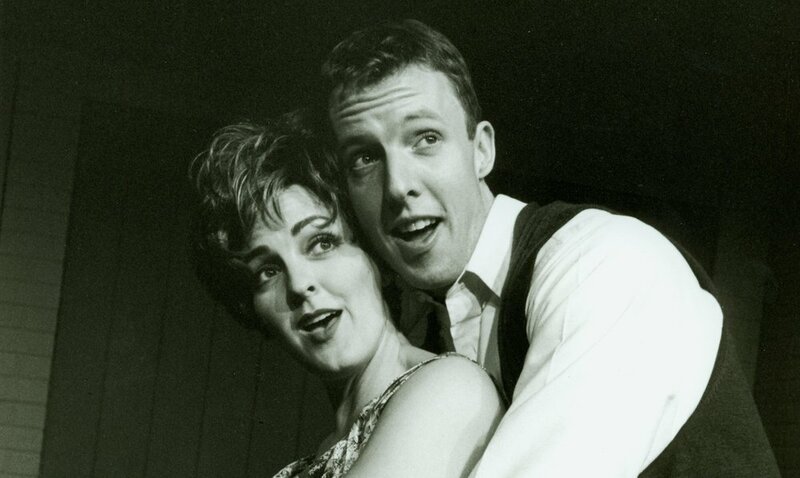 Treva also attended the Second City Training Center where she fell in love with sketch comedy. Fun Fact: One of her teachers was Steve Carell. After landing a role in MY LIFE, with Nicole Kidman and Michael Keaton, Treva decided to move to Los Angeles just 3 days before the Northridge earthquake. As luck would have it she was staying with friends just a mile from the epicenter! Upon arrival Treva booked ROSEANNE, X-FILES and continues to work in TV and film. She enjoys doing commercials as well. Treva was awarded with The District Attorney’s Courageous Citizen Award by the City of Los Angeles for stopping to help a man being beaten by Gang members. Treva traveled to Cyprus, Armenia and France with the Christian band, New Hope and enjoyed working for Northern Lights Theatre in Wisconsin for several years. She is also a member of Actors Co-op in Hollywood. Sign up with your email address to receive updates about what I'm up to! Please complete the form and I'll get right back to you!